This sim came to me by accident, I needed a baby for my screenshots of my cribs, so I had Julien Cooke and my body shop model (who live in the same house, Julien without facial hair is my medieval male model when I need a sim I also use their house to take pics of my furniture uploads and such) have a baby. Julius needed to be aged up to adult because it's kind of hard getting a baby out of the way for screenshots (short of BBQing them with Pescado's grill, not sure if that's even still on mts, and I'm not quite that cruel) So now my Cooke household is 3. 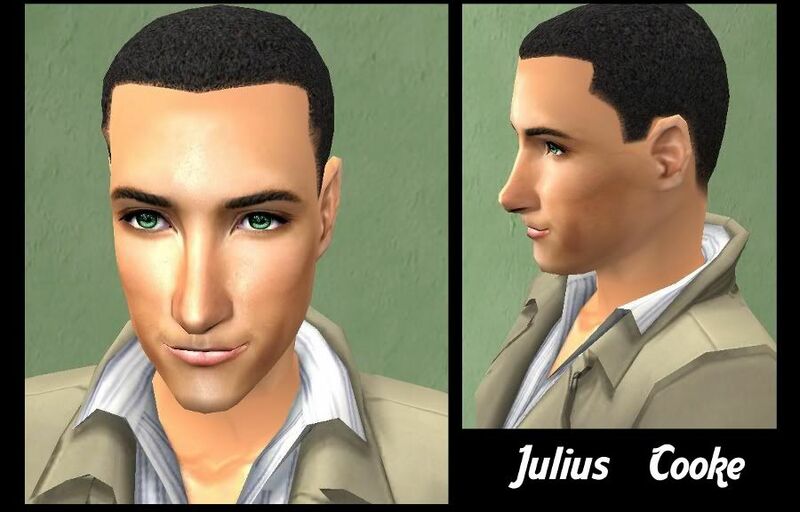 I was so impressed by the looks of Julius that I just had to extract him in SimPE and share him, I mean he's drop dead gorgeous for a sim that's the result of something so random. Only 2 items of cc, the eyes created by me, and the skintone created by Oceanviews. The outfit requires H&M fashion. Enjoy! I know, sadly a handful of my files are lost until someone comes forward with a working download link. Please don't complain, all comments go to my personal email and it gets kind of cluttered reading them all. Nothing much I can do really, I don't like it either. Some files got lost because of attacks (those were easy enough to get back they were just conversions or from TSR so I just had to remake them or re-upload them), some files were lost because of my stupidity on not using mediafire pro to begin with. I just hope someone can come and get these re-uploaded. I even have some files on MTS which are gone because they had a fileserver crash which affected many files on MTS system wide. Had a few careers which cannot be remade. Gone. Days of work on those careers down the toilet. All's well that ends well though, there's still tons of good stuff here to download in almost every area. You certainly won't have a boring game after a download spree at TNWS.